The Staunton CUSD #6 Board of Education will hold its' regular meeting on Monday, April 15, 2019 at 7:00 p.m. in the Unit Library. 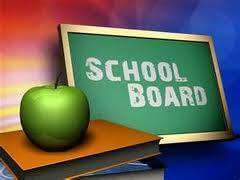 The Board looks to hire many of the teaching positions that have been posted throughout the spring. In other items the Board will continue to focus on school improvement and review policies for revisions. To learn more about these items and more you may view the agenda, agenda notes and supplemental documents via the District website.